I don’t mind admitting that I’m old enough to remember the glory days of contact lenses when professional fees were high and we made a high margin on the materials. A very high margin. I started my professional career in the late seventies when we were still fitting some PMMA lenses and single use soft contact lenses did not mean daily use, it meant a year or two or when they started to turn brown! Contact lens fitting and follow-up care was more complicated back then, so fitting fees were relatively high. Many changes occurred over the past few decades, such as the proliferation of vision plans, the advent of disposable lenses and the launch of e-commerce. But it’s really not my style to reminisce. The advancements in contact lens technology have led to easier fittings and healthier patients and we can still be very profitable in this modality. We just have to change the way we prescribe and manage contact lenses. Many optometrists still rely on some of the old procedures we were taught in school and some of those might have been outdated then. In addition, many ODs actually try to make the fitting process longer and more complicated because they believe it will impress the patient and might justify higher fees. I think we should reinvent the fitting process. For most types of lenses, we could make the fitting process so fast and easy, the patient is not even aware of it. That would impress patients much more than an old, outdated process. Professional fees for elective contact lenses need not be based on time; they are based on skill and patients will happily pay for speed and convenience. To start with, we should stop reappointing for a trial lens fitting. Reducing chair time is the same as increasing profitability. You really can do the contact lens fitting at the same visit as the initial exam. If you are using a scribe, simply tell him/her what trial lenses to apply and go see another patient. A huge amount of doctor time is saved by having the chairside assistant find the diagnostic lenses and put them on the patient. After that, the assistant can take visual acuity and do an over-refraction with spheres only in the phoroptor. What’s left? The doctor pops back in the exam room and does a slit lamp evaluation. Many scribes could do that too, but I’m assuming the OD still wants to be involved. Do you really need a follow-up visit? If you feel like the answer is yes on new fittings, fine, but can a technician do most of them? And certainly one follow-up visit is enough if the patient is doing well. It is possible that the patient will not return. 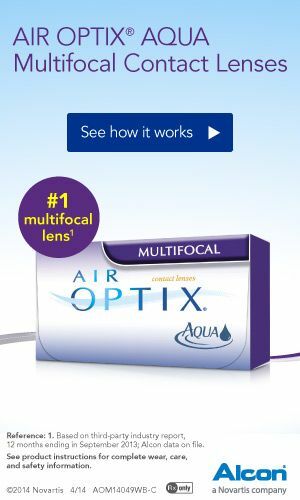 It is possible that your staff will order and dispense boxes of lenses, but forget to enter the additional charges. Patients may think they already paid their contact lens fees and when you finally get around to charging them for the product, they are shocked and very unhappy. The remedy is simple. Make a decision about what type of contacts you are prescribing and enter all the fees on day one; this includes services and products. If the patient is not actually taking any product with them, you do not have to demand full payment that day, but at least let the product be shown on their account. You are entitled to make a decent profit when fitting contact lenses. Revaluate your fees for a new fitting, a refitting and for a contact lens evaluation (as part of the yearly eye exam even if there is no change in lens parameters). Charge more for specialty lenses like torics and multifocal. Add technology like corneal topography or specular microscopy and increase the professional fee. Many vision plans provide an allowance for contact lens fitting fees and the patient pays the balance after a discount. These plans still provide a fair profit picture for the practitioner. Some vision plans are putting a very low cap on contact lens professional fees and that is unfortunate, but even in those cases, it pays to be more efficient.